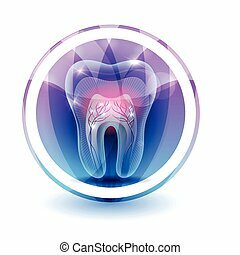 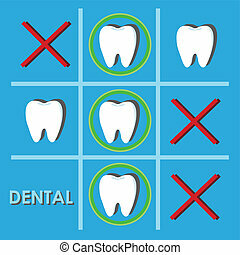 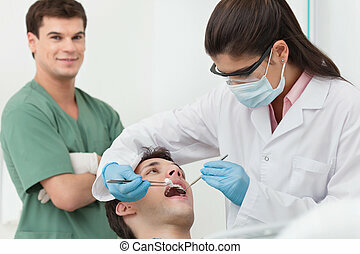 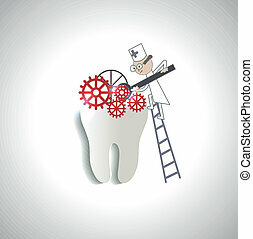 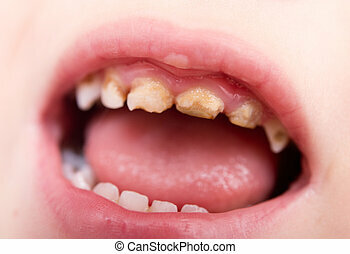 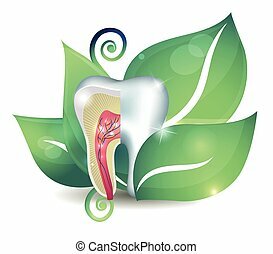 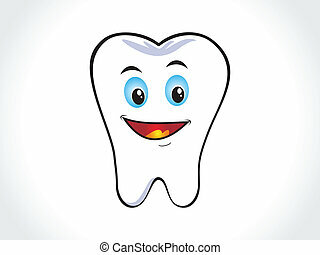 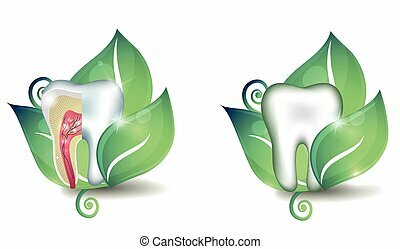 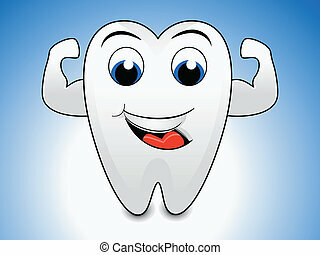 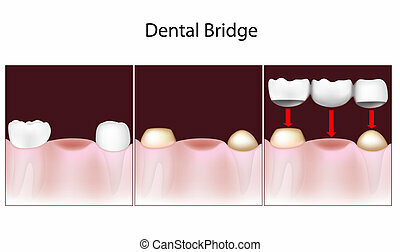 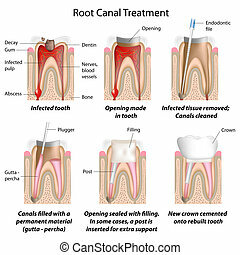 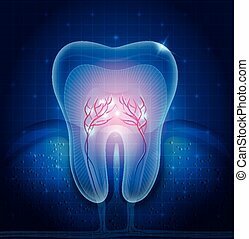 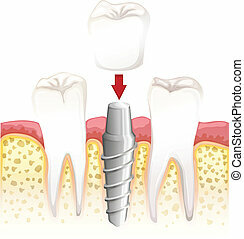 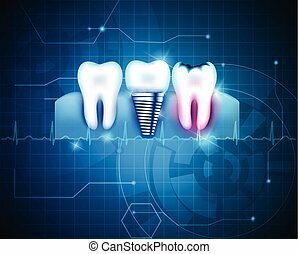 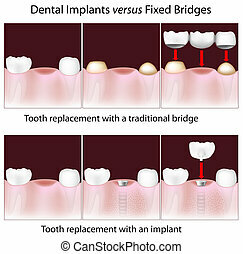 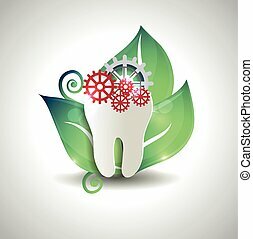 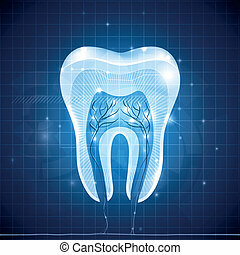 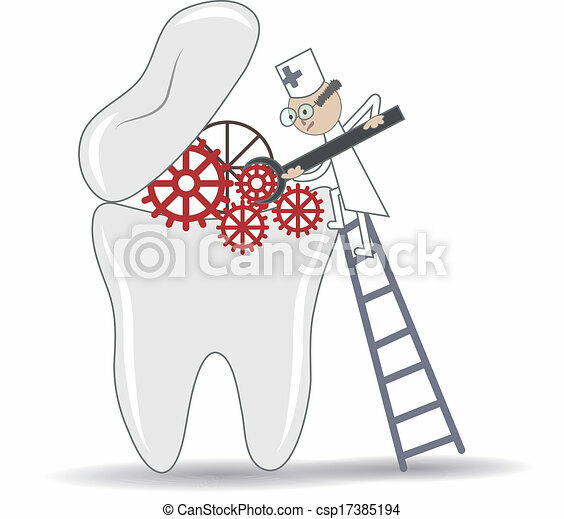 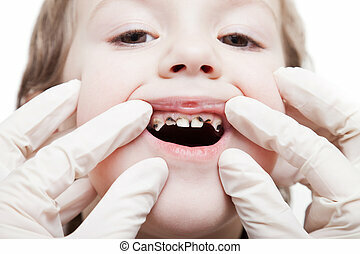 Abstract tooth treatment procedure, dental conceptual illustration. 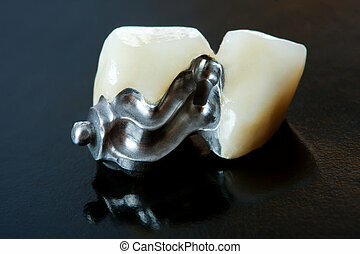 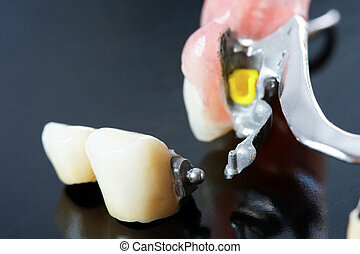 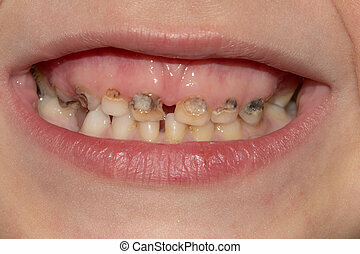 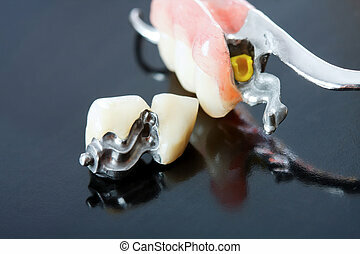 Part of a scheletal prosthesis that replaces missing teeth through special clamping systems and it can be removed by the pacient - part of a series. 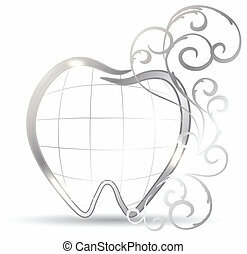 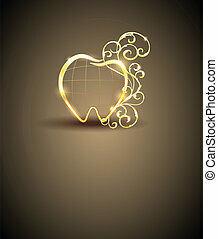 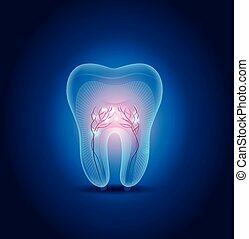 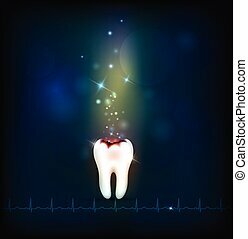 Dental caries abstract dark background with cardiogram at the bottom. 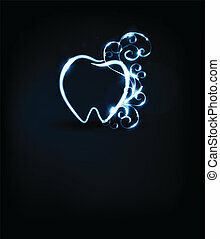 Abstract treatment.